“Atas” food should not be a miss, but local food is a must. 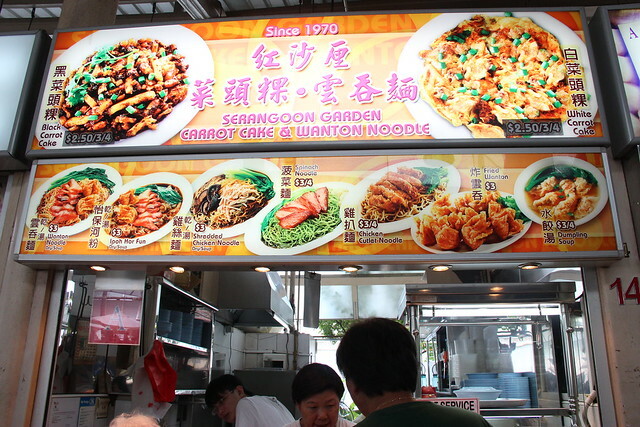 Other than the array of restaurants set up in Singapore, there is the local food fare at hawker centres that should not be ignored. When we’re abroad, the food we miss most are the local specialties and you can’t deny it. 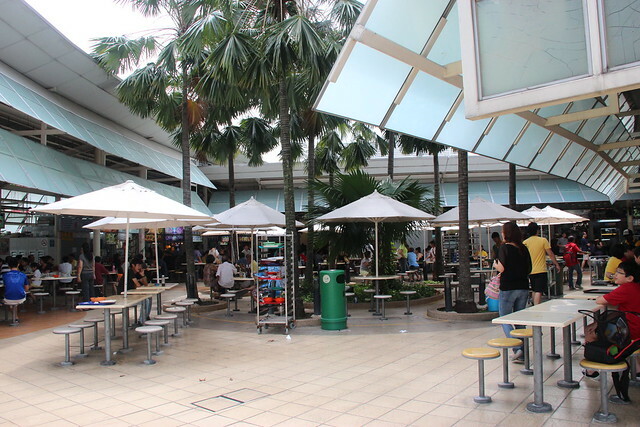 Hawker centres in Singapore have come a long way and it is certainly great to see major improvements in the cleanliness at such places. Nowadays, nobody can actually describe such places as ‘dirty’. 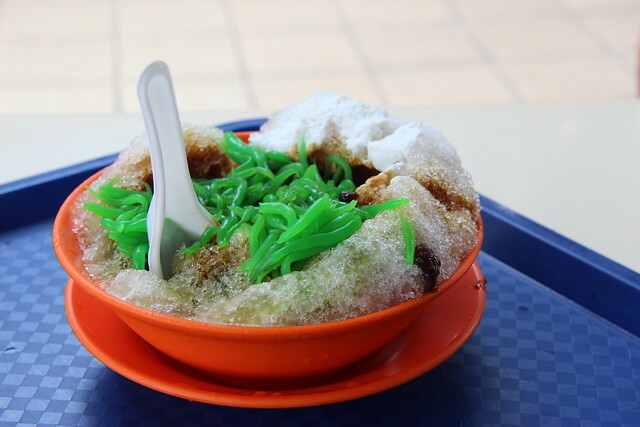 The Serangoon Gardens area features two notable hawker centres that serves authentic local fare: Serangoon Gardens Food Centre & Chomp Chomp food centre, the latter only opened in the evening. 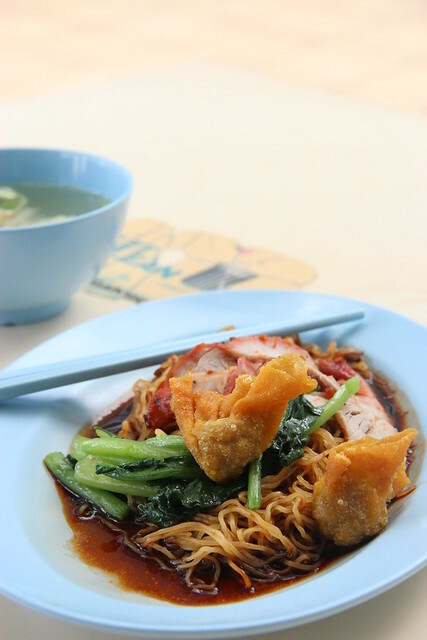 I ordered Dry Wanton Noodles ($3) because I was sick of the tasteless rendition from the food court near my estate. The noodles tasted alright, but the star of the plate was the wantons, deeply fried to a perfect crisp with a satisfying, meaty filling. They even give you a bowl of soup with soup wantons in it! Extra delight. The soup wantons tasted just as great, or even better than the fried ones. The Chicken Rice ($3) was ordinary, I’ve tasted several better ones out there. I got comments that the Chendol ($1.50) was very sweet, but the bits of coconut hardened very quickly to the surface. 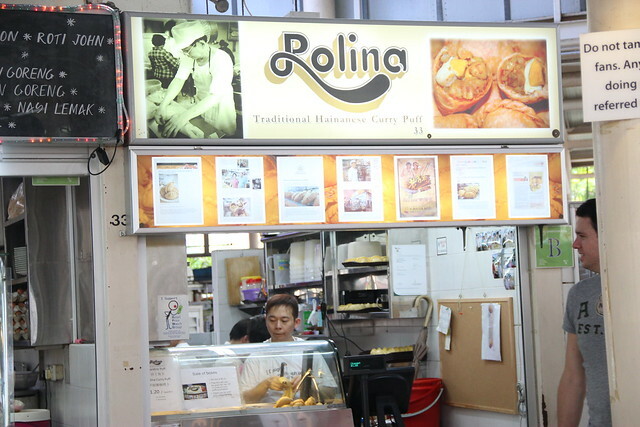 Rolina is a stall selling nothing but curry puffs! All along I thought Old Chang Kee had the best curry puff but oh boy I was wrong. 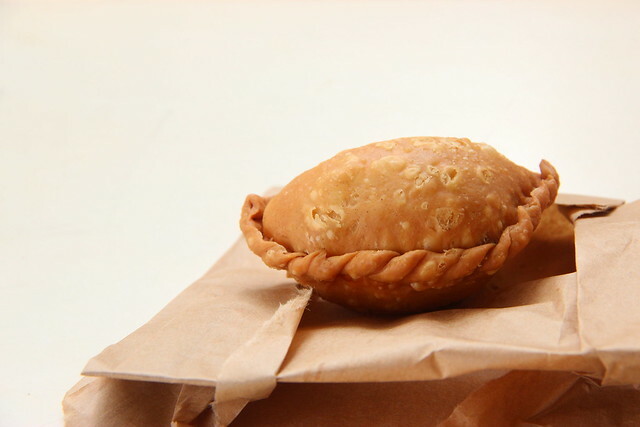 Wait till you try their curry puffs! The Hainanese Curry Puff ($1.20) was spicier with visible chilli flakes in it but also very good. 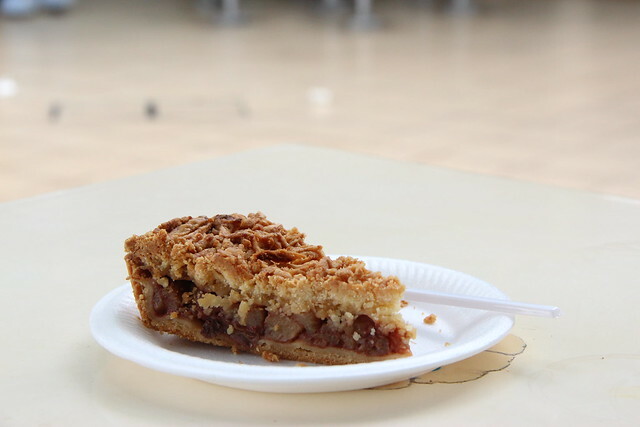 Who says you can’t have cakes at hawker centres? 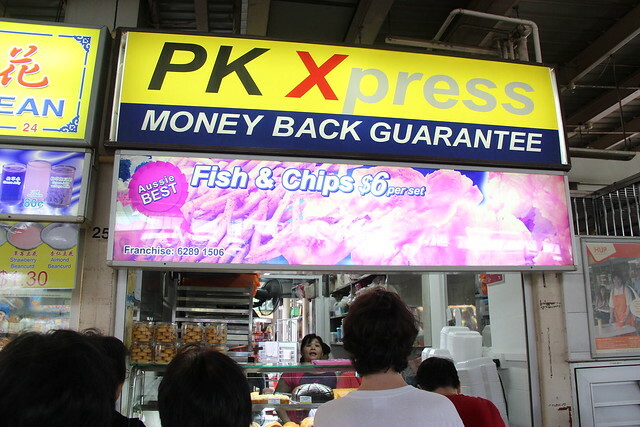 I was excited to see that PK Express (a stall selling decent fish and chips) sells some desserts including a chocolate cake, banana cake, quiches etc. I randomly picked the Apple Pie ($2.20) since I was in a dilemma. This is what I face when I choose my cakes. Everything seems delicious, can I have them all?! It did not disappoint me, not an ordinary piece of cake at all. I love how the cinnamon tasted very strong with the apple and sauce. It was so worth the money, considering that restaurants selling such apple crumbles would price it with the minimum of 5 bucks. 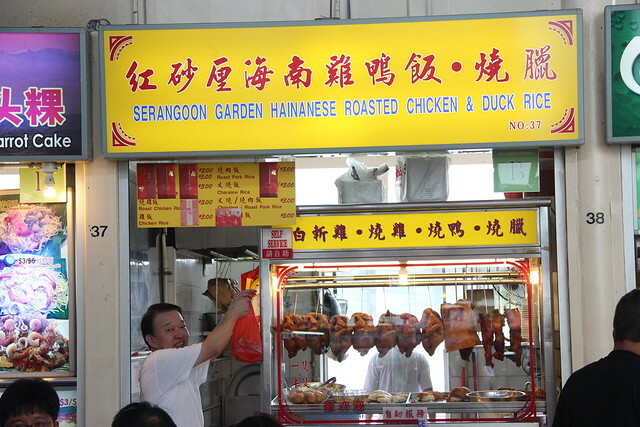 Other must try in this food centre include the famous kwap chap stall that forever has a long queue (you can spot it so easily) and the serangoon gardens bakery and confectionery (their business seems so lively and brisk). **I’ve been sick since Tuesday so posts may not come so frequent, hope you understand as well.